The lawsuit rumoured to be filed against the UFC over the the last few days became a reality Monday, when a press conference was held with selected media members present to announce the suit. A class action (meaning it will represent not just a handful of fighters but all current and former UFC fighters for the time period the lawsuit covers), it is without question the biggest legal action the UFC has ever faced. The suit alleges that the UFC is running a monopoly and unfairly keeping pay rates down for fighters, and has once again brought the issue of fighter pay to the forefront. There’s no real surprise there, however, there are a lot of other surprises peppered throughout the suit. 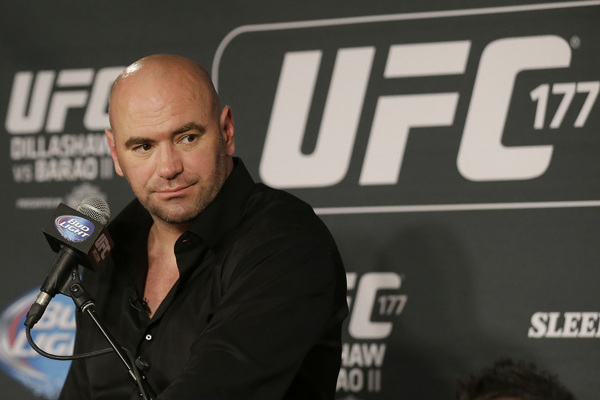 Everything from who is behind it (Mark Coleman was rumoured at one point, but that turned out not to be the case), who has since joined it, what they’re accusing the UFC of, who is representing the fighters – well, we’ve got that and more, and in that, there are plenty of unexpected twists and turns. The class action suit has the potential to change the landscape of MMA. It makes a lot of good points, and uses the company’s own statements against it, especially when it comes to killing off competition. This may, ironically, turn out to be the biggest fight in UFC history. Lets cut right to the chase – here are fourteen things you need to know about the class action suit filed against the UFC.